After four compelling heats, Fast+Fresh Dance 2014 wrapped up with an abundance of awards for the immensely talented finalists on Saturday, November 15 at Riverside Theatres, Parramatta. 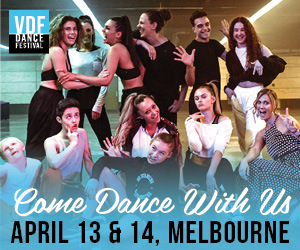 Presented by FORM Dance Projects, Riverside Theatres and The Joan Sutherland Performing Arts Centre, Fast+Fresh Dance is an annual celebration of young talent, showcasing dancers and choreographers who are 21 years old and under. This year, 61 choreographers and 113 dancers took part in Fast+Fresh Dance, of which 45 presented 16 short works in the Final on Saturday evening. Gamblin proceeded to offer two secondments with SDC to young performers Madeleine Skippen and Amelia Rosek, as well as an additional invitation to Michael Northey and Alexandria Panetta to spend a week with the company’s PPY. Marko Panzic, performance producer from The Voice Australia, has been committed to the festival for three years as a judge and believes it is a great vehicle to support and discover up-and-coming talent. Panzic presented the awards to the finalists on behalf of the judging panel, which included Anton from Ausdance NSW and arts journalist Caroline Baum. Highlights of the awards were the unanimous selection of Zachary Lopez and his solo Armygdala for Most Outstanding Choreography and Best Solo Awards, and the talented 15-year-old hip-hop artist, Leif Aquino from Colyton High School, receiving a secondment with Bangarra Dance Theatre. This year, FORM Dance Projects awarded Vaness Earp from Rosebank College the inaugural Excellence in Dance Education Award, which recognises the contribution of a teacher or mentor in encouraging their students to actively participate in dance and to achieve high levels of artistic merit. 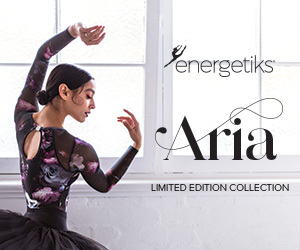 The awards were generously accompanied with industry prizes from Ars Musica, Ausdance NSW, Sydney Dance Company, Bangarra Dance Theatre, FORM Dance Projects, BLOCH, Urban Dance Centre, Brent Street Studios, Dirtyfeet and Two Heads Media Pty Ltd. Photos (from top to bottom): Madeleine Skippen and Amelia Rosek; Zachary Lopez; and Nicholas Tredrea at Fast+Fresh Dance 2014. Photos by Dom O'Donnell.